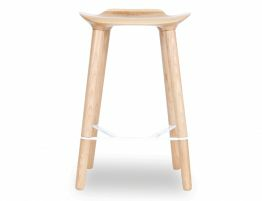 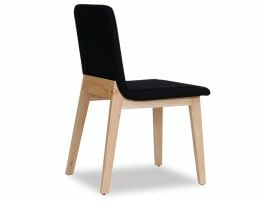 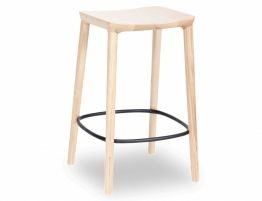 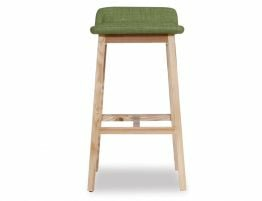 The Vas Bar Stool with its Natural American Ash Seat, Ash Timber tapered legs and Black braced Footrest is that perfect addition to finish off any modern kitchen with it's simple and streamlined in vogue look. 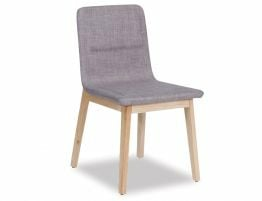 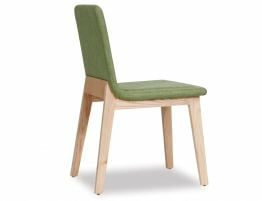 Sit in one and you'll love it with it's very comfy contoured seat. 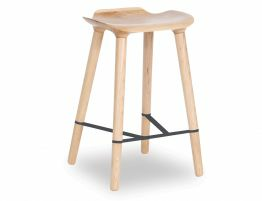 Line the Vas Bar Stools up around your bench to make that trendy statement.